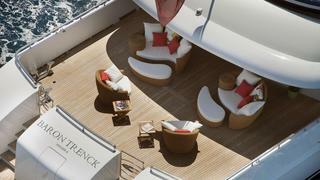 Baron Trenck is the perfect charter yacht for cruising the Mediterranean. 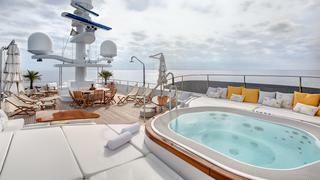 Her incredible stability at anchor and her 3m draft means she provides the smoothest charter experience and the ability to explore even the shallowest bays. 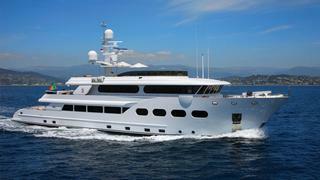 Delivered in 2012, the 43.50m (142'8) explorer yacht Baron Trenck was built by Eurocraft. 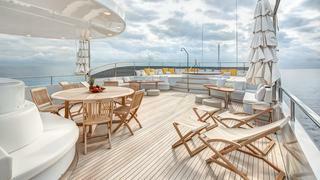 Her imposing exterior combines the classic lines of a modern superyacht with hints of a strong yacht, built to explore more remote destinations. 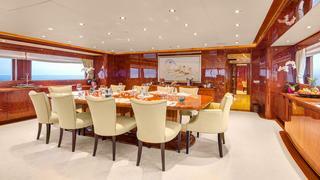 Baron Trenck provides accommodation on board for up to 12 charter guests in six generous staterooms. 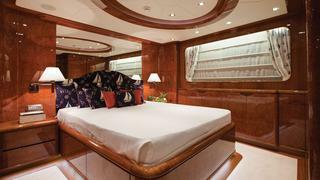 The master suite is located on the main deck and offers spectacular stunning sea views through its large oval windows, as well as encompassing a separate office, his and hers bathrooms and a walk-in wardrobe. 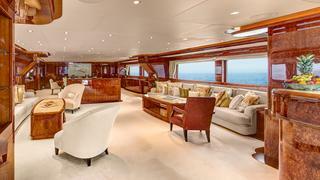 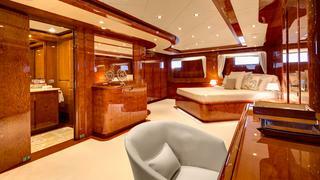 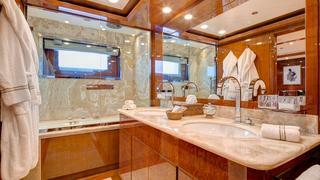 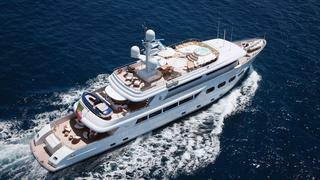 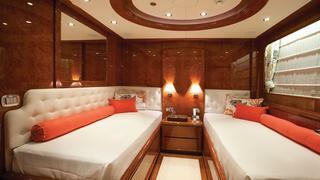 Her lower deck holds three further staterooms – a full width VIP suite, one double stateroom and one twin. 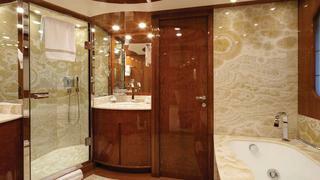 The final two twin staterooms are situated on the bridge deck, both with ensuite.